SNAFU! : Land 400 insights via Australian Strategic Policy Institute. Land 400 insights via Australian Strategic Policy Institute. Thanks to Dave for the link! 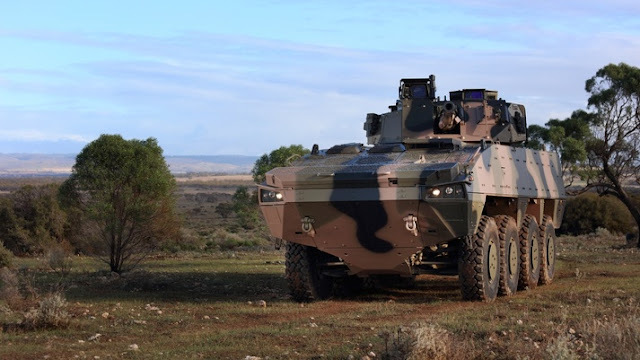 The Boxer is appreciably heavier than the AMV (around 38 tonnes versus 30 tonnes), depending on the load configuration. This weight differential is probably due to higher levels of protection (Defence has emphasised protection in its evaluation). to four ASLAVs, but only one Boxer or, at a stretch, two AMV35s. And there are only eight C-17s in the ADF, compared to 12 C-130Js. although, in fairness, those criticisms are disputed. translates into better strategic/long-range mobility, a lower logistics footprint and lower costs of ownership. You can check out the PDF here. Everyone seems to think that the Boxer is the automatic winner here. The Australians need strategic mobility. The Boxer weighs eight tons more than the AMV35. The Australians need lethality. The AMV35 sports a 35mm cannon compared to the 30mm on the Boxer and they have comparable anti-tank missile setups. And finally the Australians need reliability. I get the impression that the AMV35 is just so much more reliable than the Boxer that it boggles the mind. If the Germans are willing to subsidize the buy and practically give them Boxers for free then it will win. If they don't then I'm betting the AMV35 walks away with the win. At the end of the day I just believe (contrary to conventional thinking) that the AMV is the superior vehicle.